Last night during CNN’s Military Town Hall with the President, Commander-in-Chief Barack Obama was asked some tough questions from service members and their families regarding the many issues our nation and our nation’s troops face. When asked about the growing number of terrorist attacks in the U.S. and abroad, President Obama jumped on the opportunity to turn the focus away from battling the evil mentality of the terrorists and onto a different agenda: gun control. Major Jonathon Yost, a chaplain at Fort Lee where the event was hosted, asked Obama about the terror attacks. 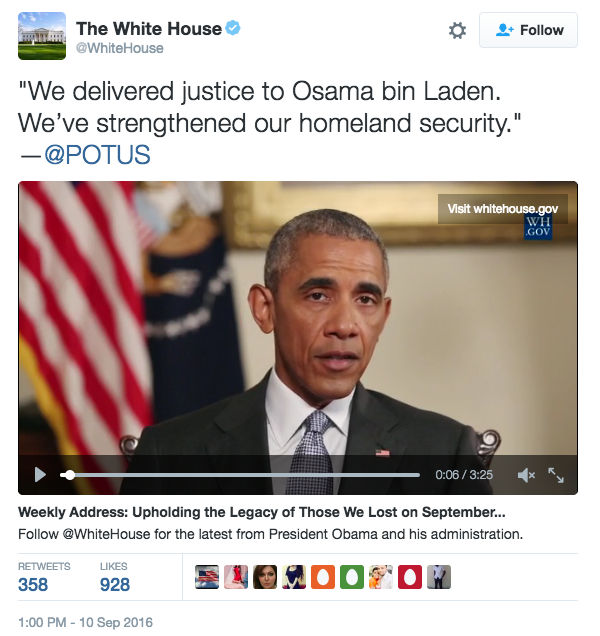 Killing Bin Laden, which happened in 2011 during the Obama Administration, is touted as one of the President’s greatest achievements since taking office. Though often used as a positive when discussing the war on terror, Wednesday night was one of the first times he acknowledged taking out leaders of radical islamists does not necessarily mean a decrease in attacks. Obama continued on, saying that the threat of terrorism is different now than it was in 2001 because jihadists are focused on committing small style attacks rather than large, well-planned, multi-person style attacks like we saw on 9/11. “The challenge we have — and this is going to be a challenge that we have for a while — is that it is possible for individuals or small groups of people to be inspired and, if they’re willing to die to carry out significant harm, even though they’re not directed from the outside, even though there’s not a complicated plot — and these so- called lone wolf terrorist actors are going to be our biggest danger, because they’re the most difficult to see coming,” he added. Then, President Obama pointed to the terrorist attack in Orlando last June to pose concerns that the ability for these radical islamic jihadis to get guns is the issue. “You’ve got an individual here who has not broken any laws, who, because of the way we organize our ability to purchase firearms, can go into a store legally, buy a bunch of firearms, and if he goes into a club and decides he wants to shoot a lot of folks, he can do a lot of damage,” he said. 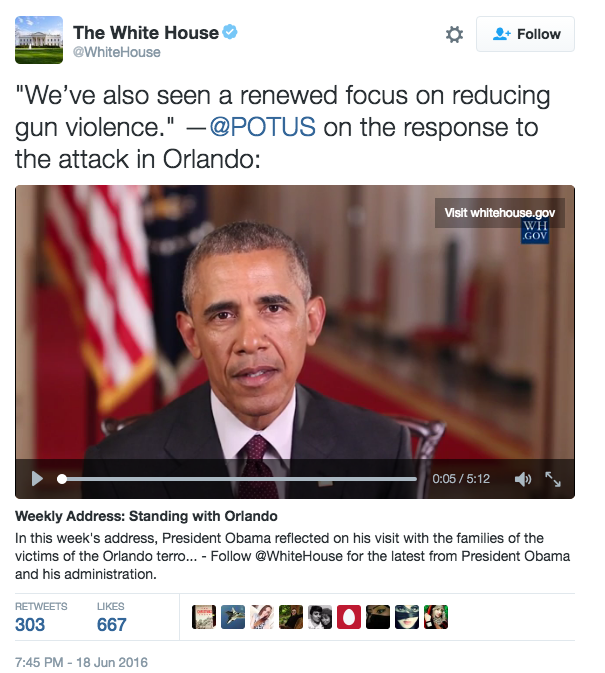 The desire to turn terrorist attacks into a gun control issue is not unique to President Obama. Democratic Presidential Candidate Hillary Clinton has also had a habit of changing the narrative of terror threats into a push for more gun legislation.